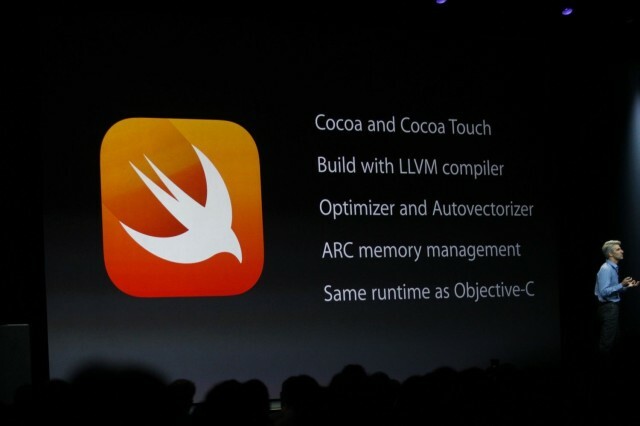 Apple’s new programming language Swift might be a hit with coders, but bringing it to developers wasn’t quite as speedy a process as its name implies. Chris Lattner, director of Apple’s Developer Tools department, has updated his personal website with information relating to Swift — including some details of its development. According to Lattner, work on the language began back in July 2010. Lattner implemented much of the basic language structure himself, with only a few other people at Apple knowing of its existence. It was only when several other individuals began contributing to the project in 2011 that it started to gain momentum, leading to it becoming a major focus for the Apple Developer Tools group in July 2013. Lattner notes that features like the interactive “Playgrounds” function were designed to “to make programming more interactive and approachable.” It was also heavily influenced by Bret Victor’s concepts, alongside the interactive LightTable programming environment which landed on Kickstarter in 2012. Those wanting to find out more about Swift can do so by checking out the free programming guide which Apple dropped immediately after announcing the language at Monday’s WWDC.